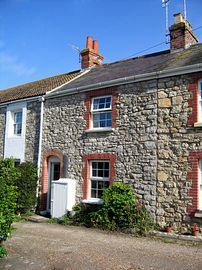 A charming two bedroom cottage in Upwey, Weymouth. Downstairs the cottage has a large open plan sitting room/dining room/kitchen with sofa, armchair, occasional table, dining table and 4 chairs as well as bathroom with shower and toilet. 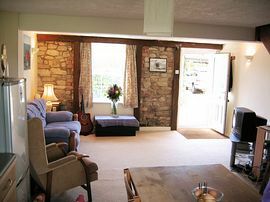 Upstairs are two bedrooms, one double room and the other single room (there is room for a cot if needed). 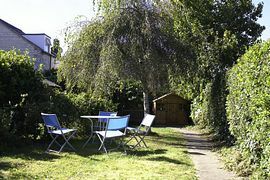 Outside is an enclosed 40ft garden with table and 4 chairs, parking for two cars and stunning rural views down the valley. There is central heating, double glazing, TV + DVD player, washing machine, fridge freezer, microwave, gas hob and cooker, all kitchen equipment. 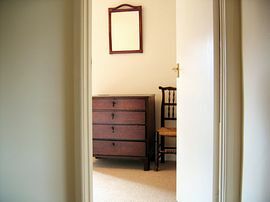 The cottage is decorated to a high standard and we provide linen. Weymouth is a diverse and popular resort set in the heart of the UNESCO Jurassic Coast World Heritage Site. It's bounded by Lyme Bay and Chesil Beach to the west, and Weymouth Bay to the south and east. The perfect arc of Weymouth Bay, with its golden sand and calm blue waters compliment this bustling medieval town and harbour perfectly. Just to the south of Weymouth lies the impressive Portland Harbour, which, along with Weymouth Bay, makes up some of the best sailing waters in Northern Europe. 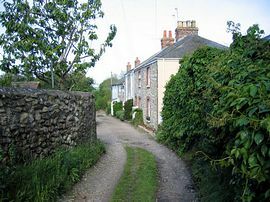 Travel down the A354 from Dorchester towards Weymouth as you pass through Upwey look for the 'Dorset Rentals' garage with green and black sign on your right. Railway Buildings turning is directly afterwards on the right before the pedestrian crossing. Weeks from £350.00 contact us for details.